Looking for Web Designing Company in Pondicherry? Pondicherry Media is a best digital marketing agency in pondicherry specializing in creating unique, custom websites by delivering a wide spectrum of custom digital marketing & web design Pondicherry, India. We create and develop digital contents and products, as well as interactive experience that grow businesses and build brands. What set us apart from the competition is our customized approach to every project we handle. We are also highly regarded for the inimitability of our works and our ability to customize every project to precisely suit the needs of our clients. Our advanced website development solutions are second to none and our design concepts will not only meet your marketing goal but also exceed your expectations. We take pride on being a sophisticated web design and development agency committed to creating and managing all aspects of your site project and business requirement. With the use of our creative insight, our company will create and develop an expert and inventive online presence for your business. Pondicherry Media provides custom landing pages, custom logo design, e-commerce solutions, social networks, web development, website consulting, website management, corporate identity packages, web hosting, custom website design, and SEO. No matter what your needs are, we integrate customized solutions to cater to your unique requirements. Our team will work closely with you to develop the mission of your company or business’ internet presence and site. Our designs are customized match the needs, as well as the goals of your business, from personalized custom website designs, web development, custom logos, consulting, marketing services, search engine optimization and website management. At Pondicherry Media, we employ only the best in the industry. We have skilled and qualified IT professionals and web developers with technical know-how and long years of experience in the industry to deliver unparalleled web-based solutions to our customers. They have managed even the most complex challenges in the industry and are equipped with state-of-the-art tools and strategies to provide state-of-the-art services for you. Designing custom business logos in Pondicherry that will attract attention and retain in the minds of your target audience. Our expert logo designers are equipped to create a unique business logo that will reflect and represent the authority and reliability of your business. From the initial design concept to the final coded, professional website, our expert designers will design a stunning website for your business success. Custom web design services in Pondicherry are performed by skilled designers to create a completely unique design tailored for you. We discuss your requirements and vision to create the right look and feel of your website. Whether you need a complete redesigning or your website just requires a little spruce up, our website redesigning services conducted by our trained professionals can revive any website to today’s standards. We use the best, most innovative architecture in developing web applications for future growth and versatility. We implement best practices and a complete code base to guarantee great results. Get on top of search engine results with our SEO Service in Pondicherry. Our SEO experts are experts in the integration of new SEO solutions to help search engines recognize your website. Our qualified developers create highly powerful custom ecommerce in efficient manners. An increasing number of merchants experience more sales with fast checkout and high conversions. From data conversions, batch updates, custom reports to A/P Links, we have the right custom programming service for you. Our services are specifically designed to create efficient solutions to business practice requirements and workflow. Whether you are a Fortune 500 company or just a small business, you need a reliable communications technique to reach out key audiences. Our print design and print services help grab your customers’ attention and increase sales. We have established a set of proficient strategy with the use of diversified technologies, including HTML5 that will continue to bring real online success. We are dedicated to keeping your website running and converting leads into sales. We empower websites and enables online merchants and businesses reach great levels of business success. Our dedicated writers can deliver quality creative copy writing service anywhere in Pondicherry. They can create informative and interesting contents that will grab your customers’ attention every time. We make registering your domain name simple, affordable and fast. Whether you are migrating a domain from a different host or creating a new website, we are the right company to consider. Get leads that convert to real sales and revenue with our reputable email marketing services in Pondicherry. 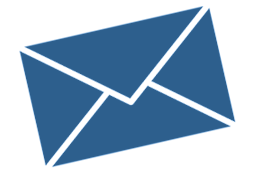 Our email marketing approaches are up-to-date, driving sales and traffic to your business website. Pay-per-click marketing services in Pondicherry allow businesses to reach their target customers without spending a fortune. We give you great opportunities to develop relationships with the right audience online at the right time. Managing your website to make sure that it attracts the right traffic and deliver web browsing experience to visitors is what we do. Our website management services will ensure that once your customers visit your website, they will not leave and always come back. From writing creative contents to using innovative online marketing methodologies, you can rely on the internet marketing services we offer. We are employed with expert internet marketers dedicated to taking your business to higher levels of success. Whether you are unsure about the right website service to consider or you’re looking for an expert advice on how to draw your customers to your business, our consulting services in Pondicherry is the ultimate service to consider. Our expert consultants have many years of experience in the industry to give state-of-the-art solutions to your web-based needs. Our team comprises of qualified designers, programmers, and digital marketing experts who stand out in the industry. Each of our project and work are designed, conceptualized and created right here in Pondicherry. Our expert Support team will thoroughly analyze and recheck client requirements and proceed to designing to get the best results. 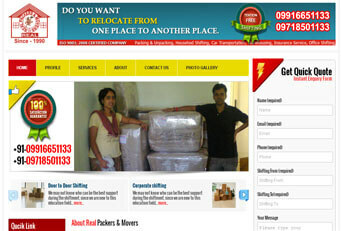 Competent web designers will design Home Page layout based on customers’ specific needs. With great attention to detail, they are equipped to deliver exactly what your requirements are. After the completion of the design, our team will recheck it for accuracy and send to the client for approval. At Pondicherry Media, we make sure that you are completely satisfied with our service. 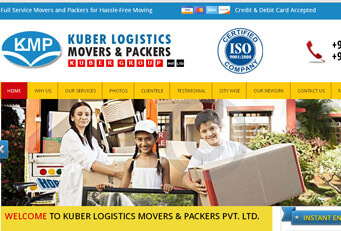 We continue to work on your website until you are 100% happy and satisfied with all the design aspects. We offer a free update for one year for your website. Pondicherry Media is a dependable digital marketing and web design company in Pondicherry, India. For years, we have been providing a wide range of professional services, including internet marketing, search engine optimization, web development architecture, company branding consultation, logo design, mobile app development and more. We have also developed a strong attention to detail and unique design styles to help create a professional website that will take your business to higher levels of success. Our team consists of experienced web designers, developers and internet marketers who have been in the industry for many years. This means that they have the knowledge and expert training to deal even with the most seemingly complicated web design and development issues you might have. They are also highly trained to handle all of your web development and online marketing needs. Why Choose Pondicherry Media for your Digital Marketing Requirements? At Pondicherry Media, we continue to implement groundbreaking web technologies, including Open Cart, Joomla!, HTML5, custom PHP Drupal, Flash, WordPress, Zen Cart, custom mobile applications, CS Cart and Magento,. This is in the realization of our objectives and fulfillment of our goal which is to provide innovative solutions to the growing needs of many website and business owners throughout all industries. We are also pleased to integrate any custom web design into the preferred CMS (Content Management System) of your choice. Your target customers are now using their tablets and mobile devices to search for information and products and services online. We know how crucial it is to have a mobile-friendly website to increase web traffic and convert online visitors to leads and revenue. For this reason, we employ qualified developers who are committed to ensuring that your website is 100 percent responsive and compatible with any mobile device. One of the main reasons why Pondicherry Media is a highly sought-after company in the industry is the unlimited design revision service we offer for every custom website project. This ensures that you receive exclusive website design that is created from scratch. With this service, you can ensure that you’re the only one with that particular website, setting you apart from millions of websites on the web. This gives you the assurance that you are getting the exact design and style you want for your business website. Your customers are on the web and if you do not have a website, then your competitors do and they are getting the attention of your target audience. Having a website is crucial for the overall success of your business. It is critical to have a strong online presence for business owners, regardless of its size or scale. At Pondicherry Media, we make sure that you receive a stylish and expert-looking website that will grab the attention of your customers and will allow you to become successful in your business. When you work with Pondicherry Media for your web-based requirements, you are also working with the industry leaders in Pondicherry, India. We have friendly and reliable staff always ready to answer your questions and address your concerns. Our courteous customer care is always available and ready to serve you. Pondicherry Media is conveniently located right in the heart of downtown Pondicherry, with offices inside the beautifully-renovated Fine Arts Building. We are available for in-person meetings within the Pondicherry area. Our operating hours are from 9am – 6pm Monday through Saturday, and 9am to 1pm Sunday. 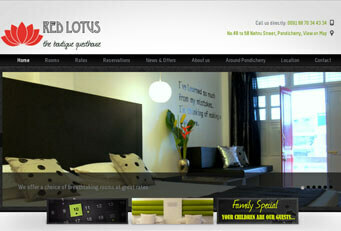 Call us today to schedule an appointment with one of our Pondicherry web design experts. Our customers are our top priority. For this reason, the Pondicherry Media team is committed to making sure that our customers will take full advantage of the best quality services and products in the industry. We continue to innovate and develop new web-based solutions to exceed our customers’ expectations. If you have questions, concerns or any web-related issues, please do not hesitate to contact our customer service number, 9787679067. Our friendly and knowledgeable customer service team will address your concerns and answer your questions in a professional manner. We never had any issues with Pondicherry Media. Pondicherry Media was prompt in fixing anything we needed. 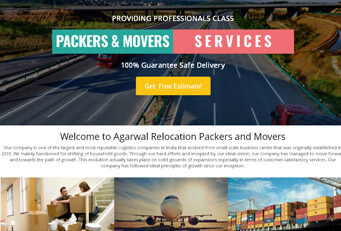 Post your requirements so that we can connect you to the best Web Designing Company in Pondicherry.